Do you want to build an ideal body, transform yourself and completely change your life? Most of our contestants used Adonis Index workouts to completely change the way they look, think about themselves and are perceived by others. Everyone wants to look good and present himself in a best way possible. The issue is though that most stuff out there is outdated or just doesn’t work. Not only that, but most workout programs are designed so badly that they can get you to train out of your shape, which is completely contrary to what you want. Getting a workout that is aligned with your goals and is intelligently designed is the smartest thing you can do and you will be rewarded with a body that stands out in any crowd. The mistake most experts make when creating a workout program is they don’t focus on a specific shape and they usually let you work all your muscles equally. This leads to big, bulky, flat and unappealing physiques. Trying to get bigger and “bulking up” has two flaws. First, it never ends, you can get as big as possible, but at some point your genetics won’t allow you to grow anymore, what will you do then, just overeat like most guys and get fat, just for the sake of being big in a shirt? Or will you take steroids to get really massive like certain bodybuilders did? This leads us to flaw number two. Nobody cares whether you are bigger than the next guy over. The body that is physically appealing to women and earns respect from men is the body that’s the most proportioned and has the most attractive shape, period. If you are still not getting the results you want, then try this. Try to build the best shape possible based on your height. Yes, height. You can never be as heavy and as big as a 6’4” bodybuilder if you are only 5’8”, that’s the truth. However, while you can’t be bigger or heavier, you can look better and have more proportioned body than him. Now we are getting to the good stuff here. The best workout you can have is the one that is focused on your ideal measurements, or the ideal Adonis Index, how we like to call it. Once you start focusing on the right body shape something magical happens. When you get closer to your ideal shape, you will instantly see changes in the way people talk to you. Here is the thing, people judge you and they judge you within seconds of you entering the room, even before you open your mouth they have subconsciously created an image of how they are going to perceive you. What researchers know from studying human psychology is that people assign good characteristics and are more keen to talk to people who are attractive. The statement that looks doesn’t matter is a lie! If you have a friend that told you that, he either lied to you, because he didn’t want you to know the truth or he just was never in a killer shape himself, so he had no idea what the truth is. And we really make it our mission to help you build a body that can give you an incredible advantage when you talk to other people, so they will listen to you more closely, or when you want a quick close on a business meeting or just in a bar. Whether your goal is to have more confidence to approach women and get dates or just beat your competition and win the job interviews, we will help you build a killer body that will make this a piece of cake for you. We will show you how to achieve all this by transforming yourself both physically and mentally with our unique system that has been proven to work over and over again. Every couple of months we hold an online transformation contest. There are in fact two categories you can place in, transformation and open division. Transformation category is for those who are just starting out and make the biggest change. The open category on the other hand is for those who are getting close to their ideal physique. Adonis Lifestyle is here to help you build your ideal body shape and transform your life. John’s formal education background is a degree in human biology and nutrition from the University of Guelph (Ontario Canada), and a Masters In Human Biology and nutrition also from U of Guelph. He also did further graduate research and taught exercise physiology at the University of Florida. He’s all the certificates you know, but considers them full of BS, so you won’t hear him ever mentioning them. 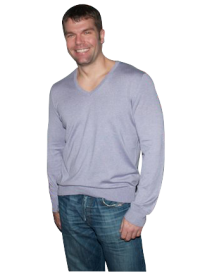 John worked in the dietary and sports supplement industry researching and developing sports and weight loss supplements for the better part of the past 8 years and he still consults supplement companies on formula and product development. Some of the brands he has have with and or created include MuscleTech, NxLabs, Slimquick, ADS, BlueStar Nutraceuticals and Empowered Nutrition Products. He spent 3 years as a varsity strength and conditioning coach (ice hockey) at the University of Guelph. John has also trained with a world class power lifting team. He also keeps close ties with colleagues in the biomechanics field. This is how he stays up to date on the latest research in biomechanics and human movement science in general. He’s currently working on exercise programs and researching solutions to weight loss, muscle building and longevity. After 4 years at University Brad graduated with honors with a degree in Applied Human Nutrition. His first job was Research Analyst at a small supplement company. After 6 years he became a Research & Development Manager and the supplement company he worked for became number one in the world. He spent good chunk of his career traveling around the world and attending major scientific conferences as a sponsor. He met top executives from multi-national food ingredient supply companies and is one of those who saw the effect that supplements have on world’s economy. Having unlimited access into the scientific world of health and fitness and unprecedented access into the the professional Body Building, meeting Mr. Olympia champions, having dinner with Arnold Schwarzenegger or working out with 400 pound strong men gave him a perspective that a very few have. However, despite having this career he decided to leave it all behind and get back to University. He became known as the author of Eat Stop Eat, which was the result of his graduate research at University of Guelph. Currently he is focusing on helping guys lose fat and build muscle while having as simple approach as they can, his goal is to show them how to get and stay in shape without being constantly under stress and without being obsessive-compulsive with it. Brad was studying Aerospace Engineering at a North Caroline State University, so when he says that getting in shape is not rocket science, he really knows what he is saying. Currently Brad is responsible for spreading the knowledge of Adonis Lifestyle and also making sure you get the right system for yourself and achieve your results. Generally he is a really cool guy and if you sign up for the newsletter, you can look for some really cool resources on lifestyle and dating that he puts together each month. Vaclav Gregor is a former hard-gainer, fitness writer and a senior member of the Adonis Lifestyle team. 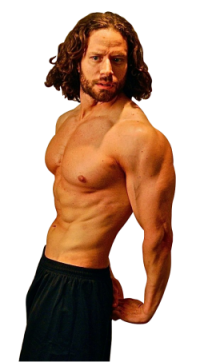 Vaclav specializes on helping young, busy men getting the body they want using the Adonis Index philosophies. Being skinny his whole life, Vaclav decided to change his physique and started training with Adonis Index systems in early 2010. Since then he managed to get into an amazing shape, completely transform his life, build his own fitness business and join the AI team. He is responsible for most of the Adonis Index articles and is part of the development team for the new workout plans. He is here to help you find your way through the overwhelming fitness information clutter and build a killer looking body you’ve always wanted. If you want to get in touch with him, just go over to the Adonis Index community and send him a message, he hangs out there a lot. To learn more about Vaclav’s approach and techniques read this article. Allen Elliott is a fitness model/writer, NPC Men’s Physique national competitor and official partner with the Adonis Lifestyle team. Leveraging the philosophies of Adonis Index, Allen provides guided solutions for people who sincerely strive to meet their fitness goals. 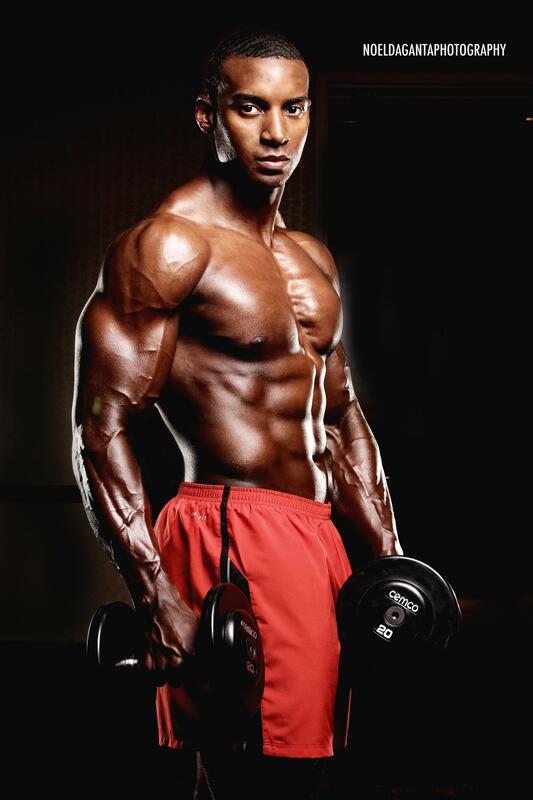 Allen stumbled upon Adonis Index Systems and immediately began training in early 2010, since that time he has competed and placed with top honors in Men’s Physique Fitness Competitions, graced the runway in several prominent fashion shows, and has published work as a fitness model. Allen has also been featured in several AI interviews and is a contributor at the Adonis Index blog. As you follow Allen on his Adonis Lifestyle journey, you will learn the steps needed to put your best foot forward. Whether it’s in front of the camera for a photo shoot or onstage in a live competition; rest assured the Adonis Index Systems will prepare you to “Look” your very best. To learn more about Allen’s journey read this article. To ensure you get all the important updates and advice from us just put your email in the box below and we will take care of the rest. You can contact us vie email (questions(at)adonisindexsupport.com) or better join the discussion on our Facebook page or Twitter.